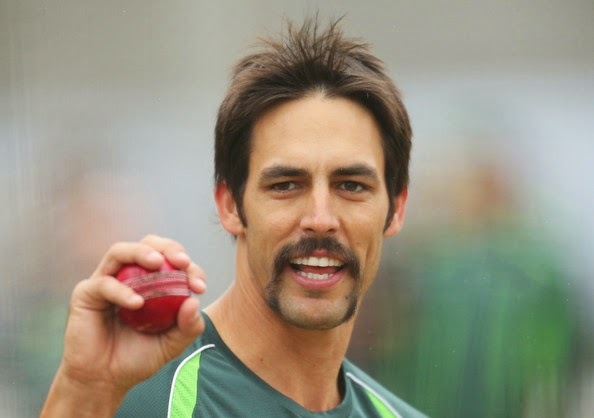 We just love a major sporting event here at The Male Grooming Review, and although cricket isn't one of our preferred choices of sport, we couldn't let the world cup pass us by without mentioning one of its grooming gems - Mitchell Johnson. 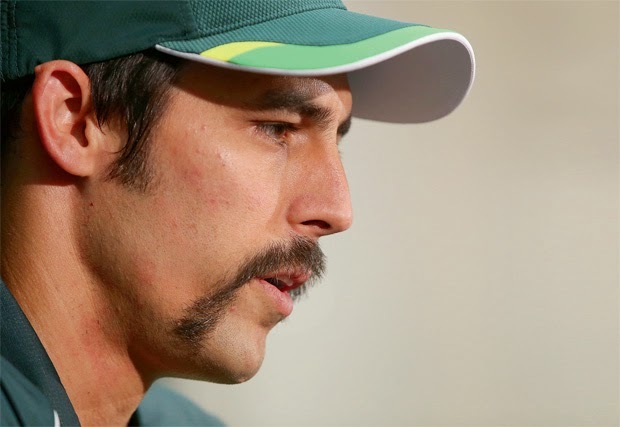 The Australian fast bowler certainly knows how to look ridiculously cool in the most edgiest of ways, and with seemingly little effort, it seems. A man that can pull off a handle-barred moustache goes down in grooming folklore, as far as we're concerned. 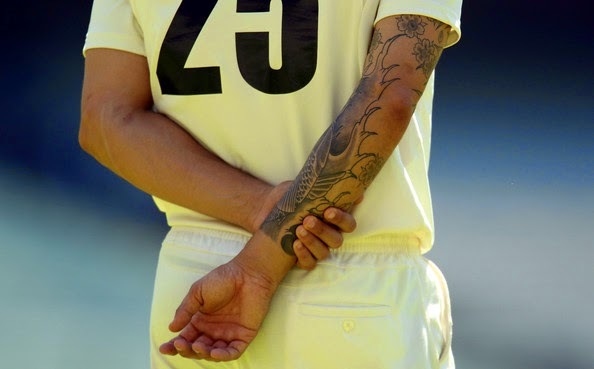 With his clean cut image and neatly groomed hair coupled with his modern tattoos, the 2009 ICC Cricketer of the Year is our Best Groomed Player of the Cricket World Cup 2015.